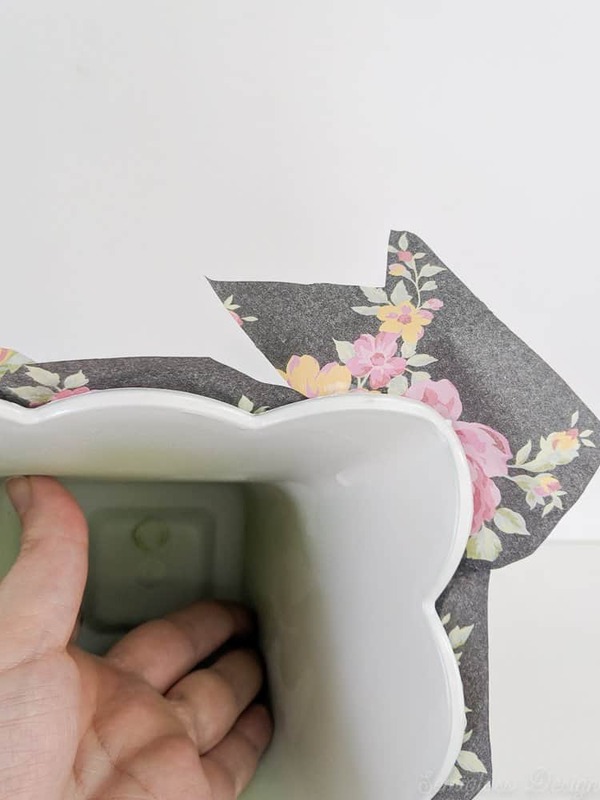 Learn how to make a DIY flower pot with decoupage. 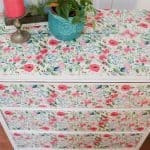 I love using decoupage to make unique projects like this floral dresser. Spring is in the air and I’m looking forward to getting flowers for the front yard. Here in Maryland, I typically wait until Mother’s Day to avoid frost killing my plants though. Until that time, inside plants will have to do. 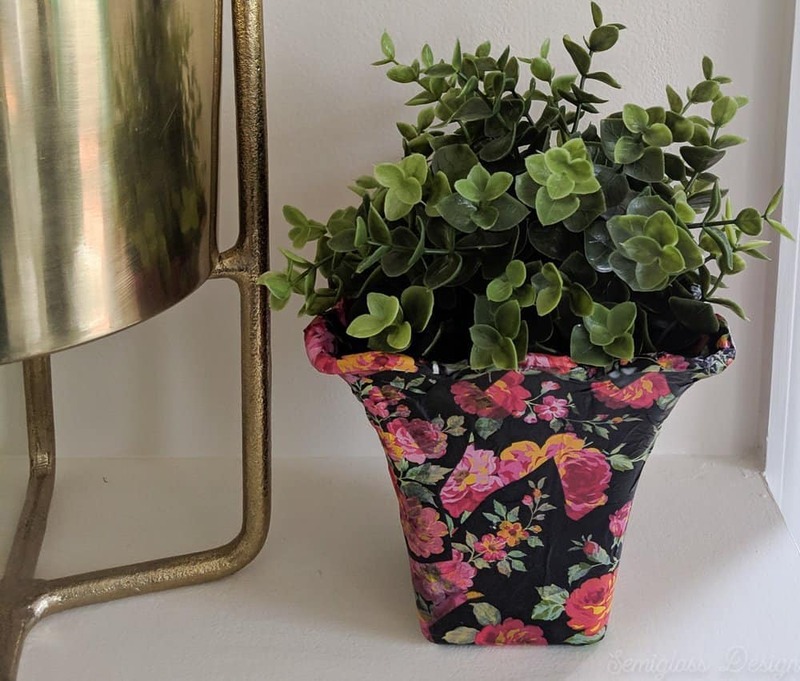 So I made some decoupaged flower pots. Look for a pot with flat sides for the best results. I used this pot with scalloped edges because it was too cute to pass up. A square or cylindrical pot would have been easier. But the good thing about decoupage is that paper bends. 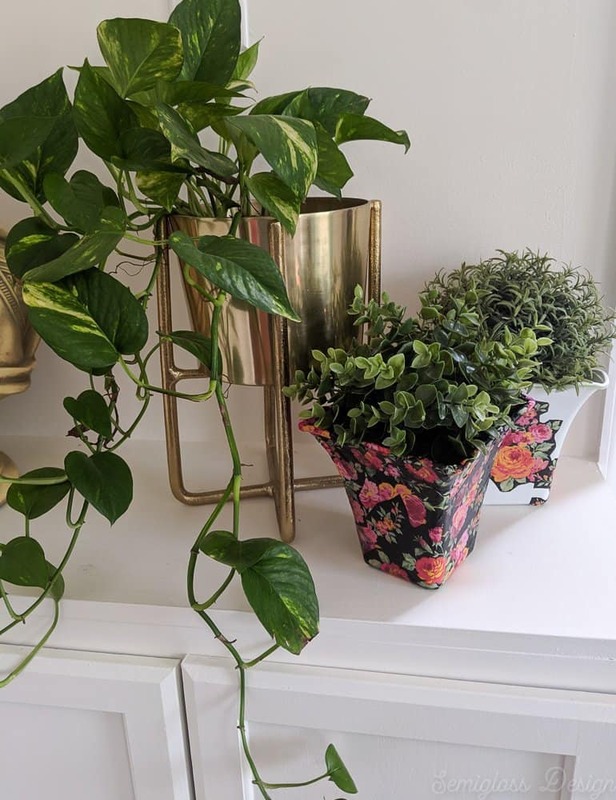 My pots came from the dollar store and they’re plastic. If your pot doesn’t have a hole at the bottom, you can use a drill to make a hole in it. This pot is plastic, so I used a regular drill bit. For ceramic pots, use a special bit with water and go slow. 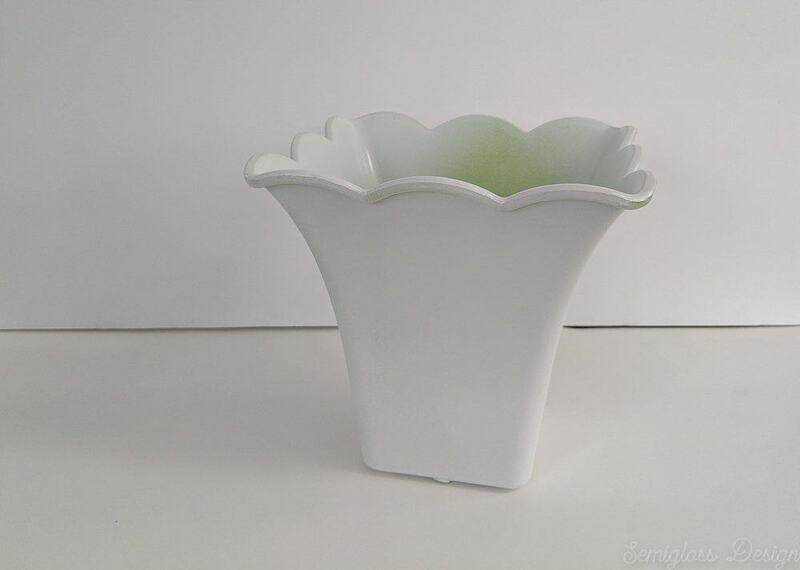 Spray paint your flower pot white. Your flower pot color will show through the tissue paper, so it’s important to start with white. I used satin, but flat would work too. 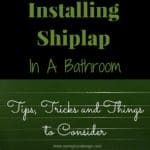 Spray on the inside as well to cover the edges. 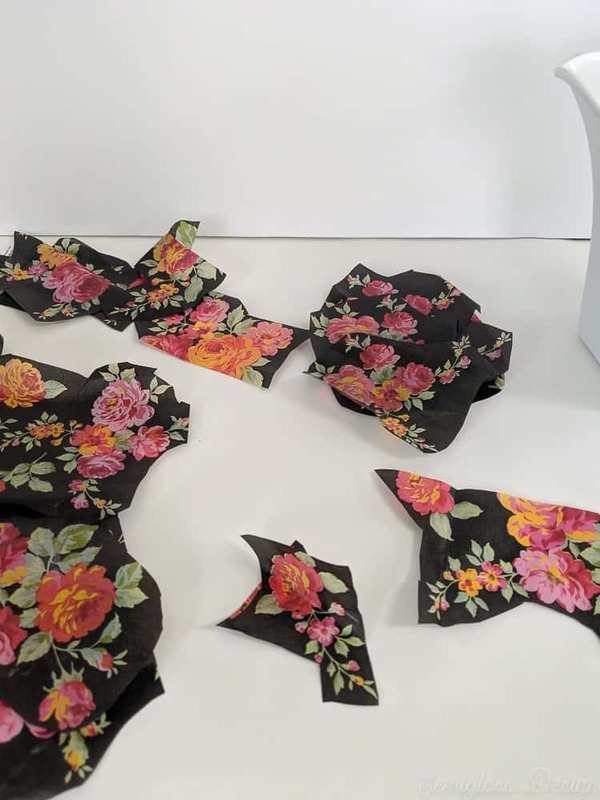 Cut your tissue paper into pieces. Since my tissue paper is floral, I cut around the motifs, but random shapes work as well. 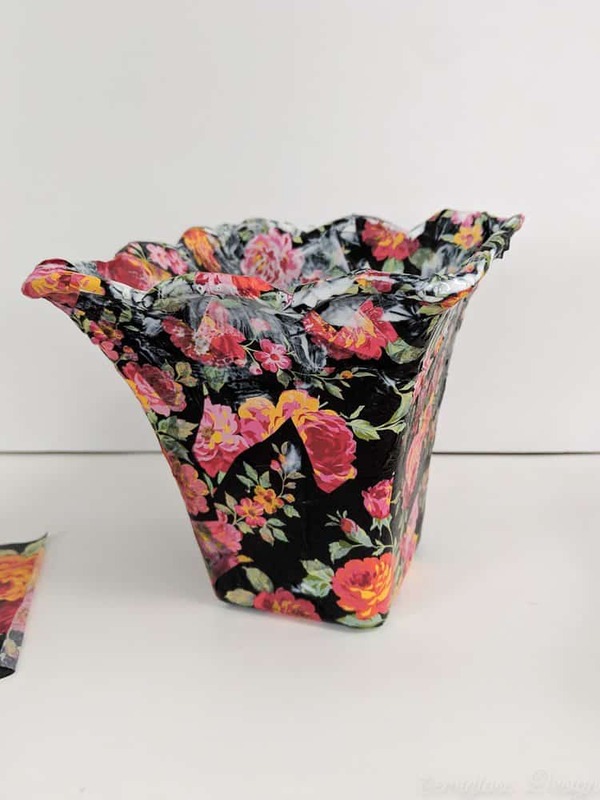 Paint the decoupage glue onto your pot. 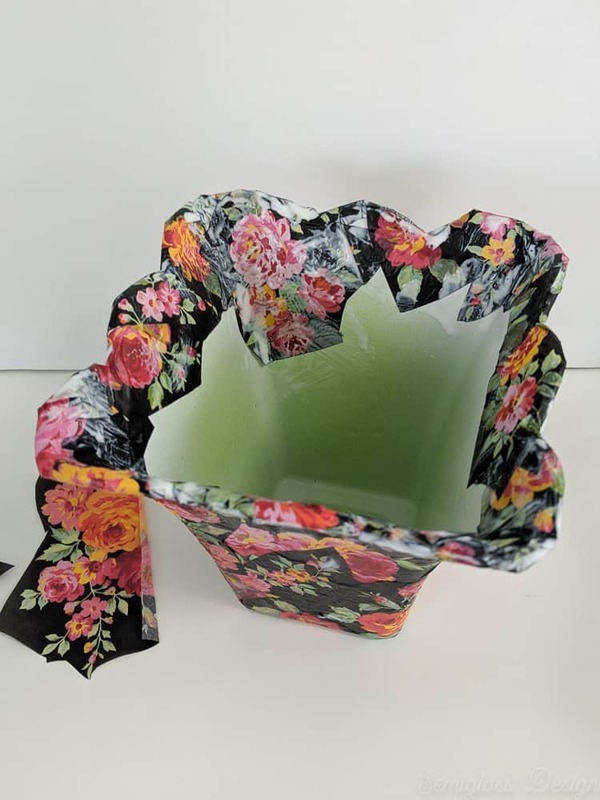 Start applying the cut out tissue paper to your pot. You can start at the bottom like I did or you can start with the largest images. 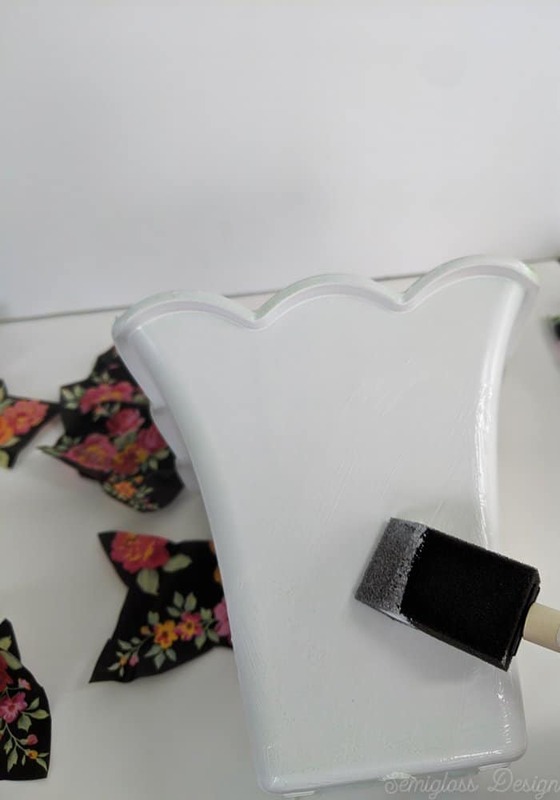 Smooth the tissue paper as you go, applying a layer of glue to the top. Use smaller pieces to fill in the gaps. 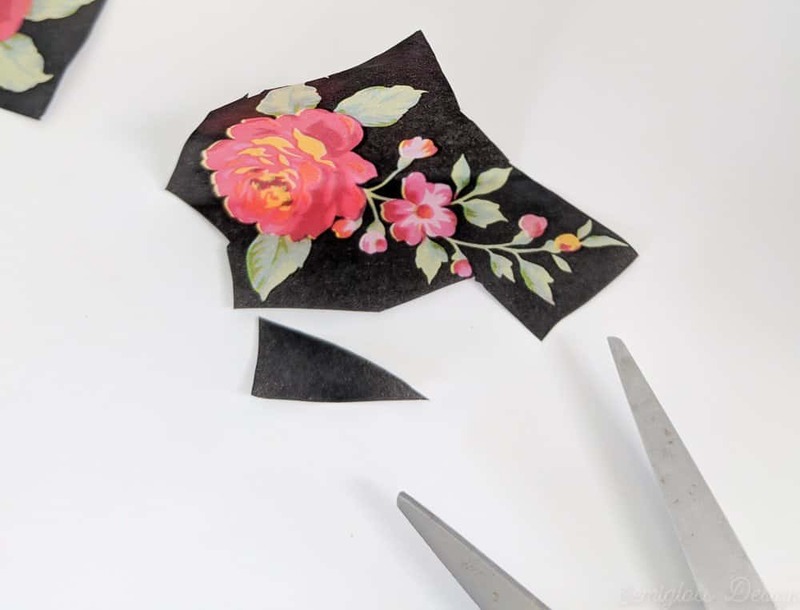 For tiny gaps, I cut small pieces of the tissue paper to use. 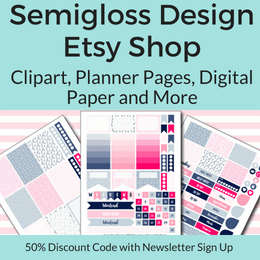 For the edges, make small cuts at the corners and bend the paper over. 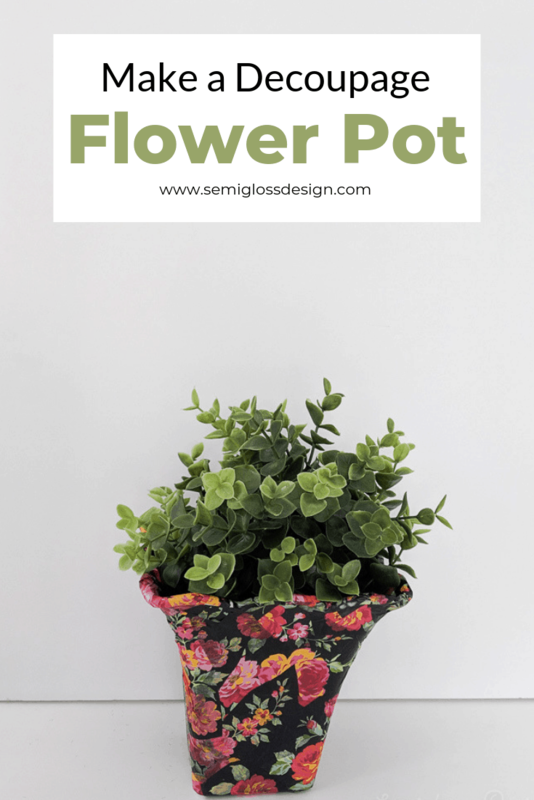 Use small pieces to cover the top part of the inside of the pot. 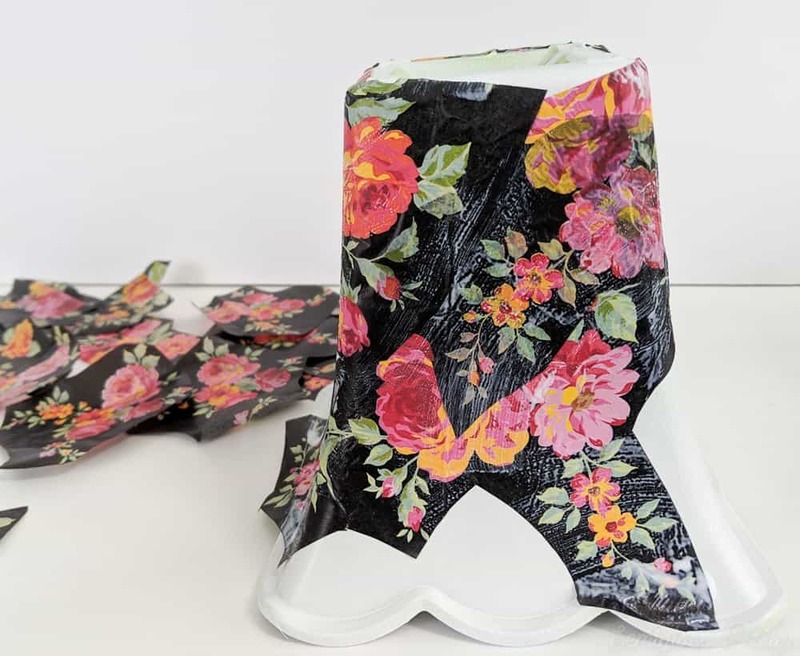 Give the tissue paper one more coat of decoupage glue for added protection. 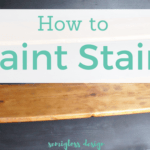 For more protection, add a few coats of clear spray paint. 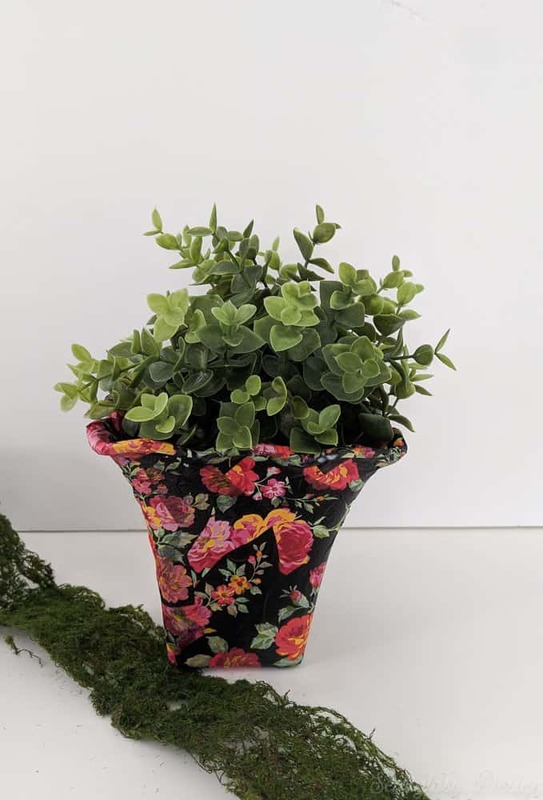 A decoupaged flower pot will be fine for indoor use, but what if you want to use your pot outside? Here are some precautions you should take to protect your hard work. Start by priming the pot because you spray paint it. 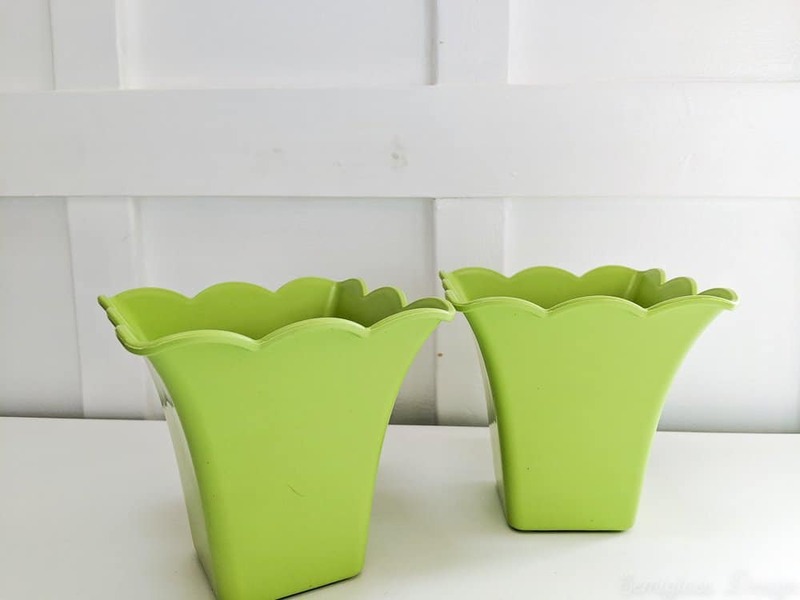 If you’re using a plastic flower pot, you might want to use specialty spray paint for plastic pots. 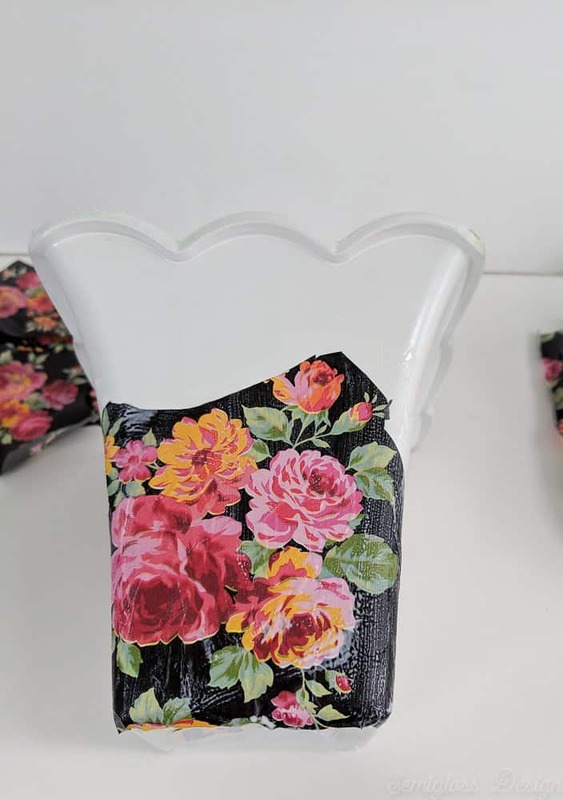 Decoupage as instructed, but use outdoor glue instead. 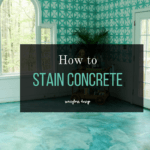 After your project is finished, spray it with several light coats of clear spray paint.